If you looking to purchase a horse property in the Fort Collins area, you should be prepared to pay near or above asking price. The High Park Fire that recently burned nearly 300 homes has caused many residents of these mountain communities to make some tough decisions. Many will not be rebuilding on burned out lots and will simply walk away from them. Northern Colorado horse properties are in high demand as acreages that accommodate animals on the flat lands are becoming prime targets for their search for a new home. These properties give them a feeling of space and openness that they had in the mountains and will not be threatened by the devastation of fire they faced in the High Park Fire. With historically low interest rates for buyers and a near shortage of these properties for sellers now is the time to act! Sellers of acreages can now take advantage of the seller's market we are in and buyers who are looking to buy soon should get moving immediately before prices start to rise. 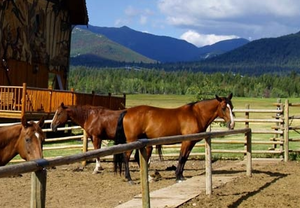 We have extensive experience listing and selling Horse Properties and rural and urban acreages. We are fourth generation Coloradans and come from a rural background which provides us with extensive knowledge of these kinds of properties. If you would like more information about Horse Properties and small acreages, please give us a call at 970-412-1657. Also, we can provide you with extensive information about buying or selling homes, town homes and condos in and around cities such as Fort Collins, Loveland, Berthoud, Wellington, Timnath, Windsor, Severance and nearby urban or rural areas. Looking for more info current housing market? Contact us and we can give you the insights you need.